In the course of modernization measures, in recent years, the radio operations of authorities and organizations with security tasks in Germany (police departments, the fire department, technical relief, etc. – in Germany aka BOS) have been changing over from analog to digital radio technology. With 500,000 users, the new BOS digital radio network in Germany is the biggest of its kind in the world. As part of the changeover measures, in the federal state of Brandenburg, a total of 116 fuel cells are going into use as emergency power systems at the base stations of the BOS digital radio network to ensure reliable electricity supplies. The fuel cells are set to function as USV systems and replace the diesel generators that have been used in most cases. 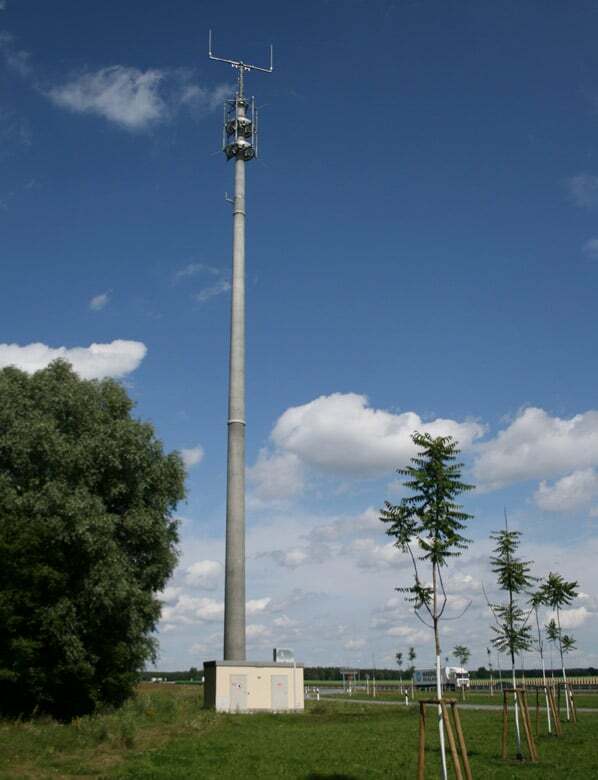 In the field of German digital radio communications, the widely used TETRA standard (terrestrial trunked radio) is used. Fourteen European countries already have a network of this kind, and along with Germany, eight countries are currently building one and another two are planning to. For Henrik Colell, the spokesman of CPN and managing director of the Berlin-based fuel cell manufacturers Heliocentris, this widespread use is a key advantage. He believes there to be great potential in equipping numerous new locations with fuel cell technology if the current field test is a success. Then, the potential market would not only encompass the 4,500 base stations which are currently available in the German BOS digital radio network, but thousands more – throughout Europe and the world. The third batch was awarded to the consortium of Mastbau Gärtner (MBG), Hoppecke/ReliOn, Generex and AdPos. The Berlin-based company MBG is falling back on the E-2500 and E-1100 fuel cell modules from Plug Power. In addition to its FC units for low-floor vehicles (GenDrive), the American (USA) company also has its own brand for stationary back-up modules (ReliOn) which are going into use here. Short power outages that last less than 15 minutes are bridged by the accumulators which have also been installed at all three providers. In the event of longer power outages, the fuel cell then supplies the locations with electricity. The first systems entered test operations in the summer of 2014. According to Prof. Siegfried Rolle from Wildau University of Applied Sciences, the emergency power systems have to be configured for a total bridging period of 72 hours. Rolle is the Director of the Laboratory for Regenerative Energy Technology at Wildau University of Applied Sciences (THWi) and is providing the project with scientific support. For his investigative work, a demonstration container was constructed at the THWi in which an FC emergency power system is installed that has a nominal output of 2.5 kW. After the German federal government decided to create the requirements for the step-by-step introduction of digital radio throughout Germany to replace the analog radio in 2003, the implementation took more than ten years. On December 31st 2014, the Digital Radio BOS Brandenburg project was completed. On January 1st 2015, the Authorized Agency for Digital Radio in the Federal State of Brandenburg (AS DF) began operating, since when it has served as the operational control center for all of the authorities and organizations with security tasks in the state. The presentation of the government grant in total of 3.17 m. Euros for the “Hydrogen emergency power systems for authorities and organizations with security tasks in the federal state of Brandenburg” project took place on November 26th 2012.